The Philadelphia Eagles are coming into this week -3.5 going against the Tampa Bay Buccaneers. The Fitzmagic was back against the New Orleans Saints last week. Fitzpatrick and the Buccaneers put 48 points up against a Saints defense that was going to be better than last year. It sure didn't seem that way. The Eagles defense is a whole different ball game. The pass rush lead by Fletcher Cox caused a lot of havoc against the Atlanta Falcons last week. 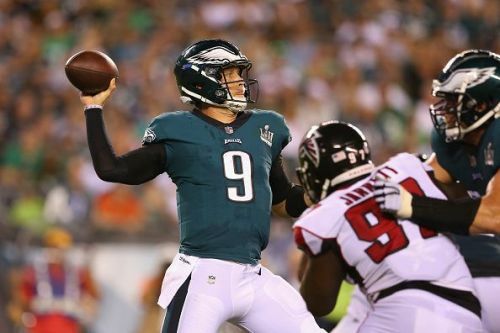 If Nick Foles doesn't make mistakes and the Eagles defense continues to play the way they did I find it very difficult that Tampa is going to come out on top in this game.